My boys are addicted to Scrabble math and they simply cannot get enough. 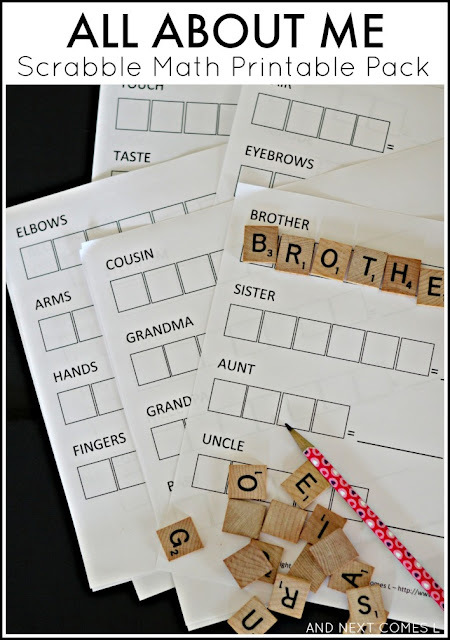 I love that these printables are great for a variety of ages. Both my preschooler and my early elementary son can work on them independently in ways that suit their needs and their skills. 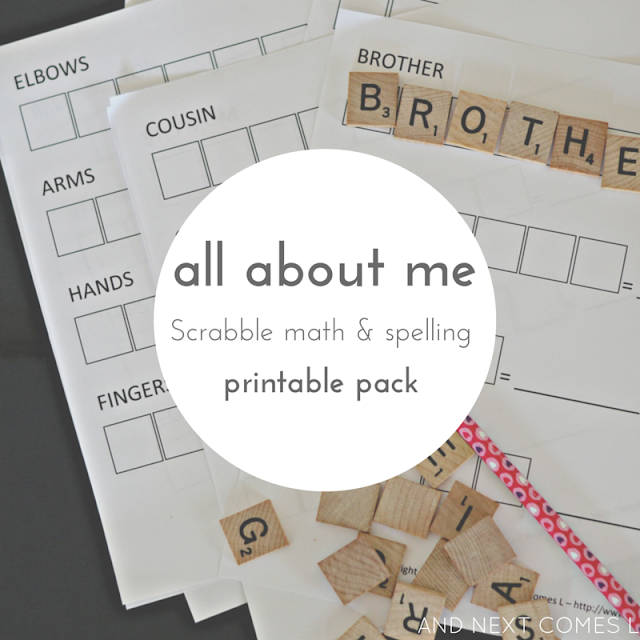 The latest ones we have been working on have focused on an "all about me" theme, focusing on body parts, family members, the five senses, and the clothing that we wear. I've bundled them all up into one easy printable pack, which you can download below. The All About Me Scrabble Math Printable Pack is 21 pages long. It includes 60 words for kids to spell and add based on four different themes. The themes are: family members, body parts, the five senses, and the clothing we wear. This pack also includes lots of suggestions on how to use the printables for further learning.